In Ancient Egypt common mourners taking part in funerary cortege were depicted making many different gestures. These women could raise their arms as if they were praying to the gods the return of the dead. Some times their hands appear over their heads as beating them in an evident show of despair. The ancient Egyptian mourners also put their hands in front of their eyes, maybe in an intention of showing the human reflect of covering the eyes (and also the face) when crying. 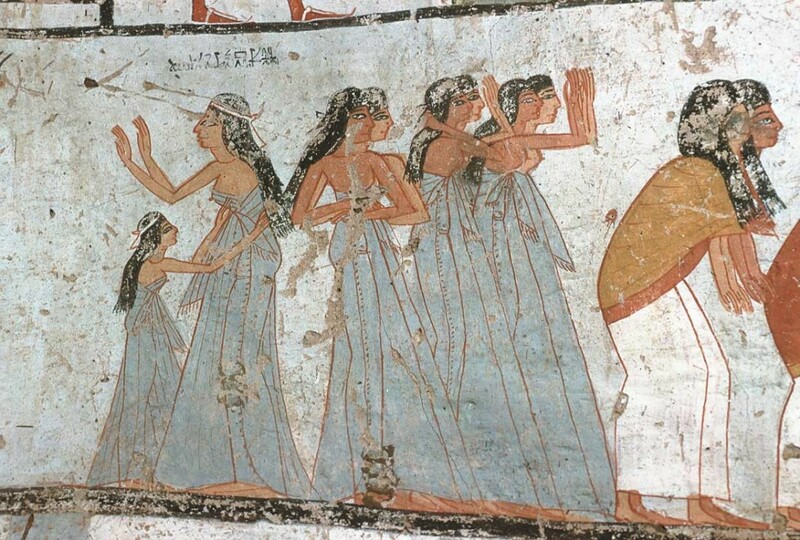 The artist of Ancient Egypt found also the way of depicting the sadness movements of those women by drawing their hands holding their back of the neck, crossing their arms on their chests, kneeling and/or bending their bodies forwards. But those gestures were usual in common mourners. What about the two professional mourners in the role of Isis and Nephthys? These two women shared with the formers ones many of these gestures, but not all of them. They can stand up at both extremes of the corpse reaching their arms towards the dead, or just crossing their arms on their chests, or holding an arm. They could also be kneeling, with their hand on their head, or covering the eyes. 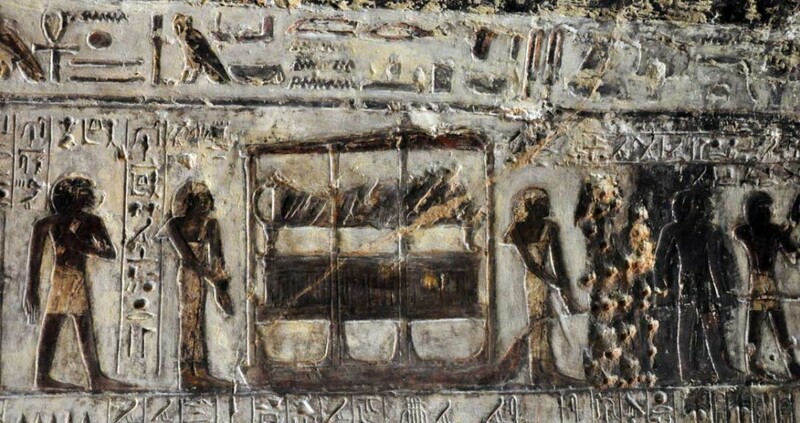 The two representatives of Isis and Nephthys, or “two kites”, are recognizable in the funerary ceremony scenes because of their more “controlled” attitude. No movements, no postures of despair, no spontaneity. The corpus of postures the artists of Ancient Egypt had for depicting the two professional mourners were more reduced.